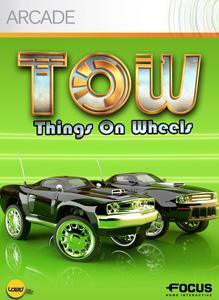 Things on Wheels – ToW – is a fun and fast remote-controlled car racing game that is playable in single or multiplayer (up to 4 players)! Drive many miniature racers with various features – the agile Vintages, the powerful Muscles or the fast Sports cars – and compete in dozens of crazy races. The tracks are completely insane, loaded with shortcuts, ramps, loops and many other surprises. Count on a lot of items to pick up to spice up the races even more and upset the final rankings! There are no refunds for this item. For more information, see www.xbox.com/live/accounts.